Out of necessity, our physicians must work by appointment. Unfortunately, patients do not become ill on schedule. Schedules do not always flow smoothly and emergencies happen. Therefore, delays and changes in schedules are occasionally unavoidable. Regular appointments can be made by calling our office Monday through Friday from 8:30 a.m. to 5:30 p.m. For emergencies, you can reach our answering service at our main telephone number. To better serve our patients, we ask that you notify us 24 hours in advance if you need to cancel or change your appointment. Requests for prescription refills can be made during regular office hours. In most cases, your prescriptions will be called in to your pharmacy the same day. Please have your pharmacy number available when you call for a refill. We accept most insurance plans and are affiliated with numerous HMOs and PPOs. We accept assignment on Medicare providers. We ask that all copayments, deductibles and charges for non-covered services be paid at the time of your office visit unless previous arrangements have been made. We accept cash, checks and all major credit cards. If necessary, payment plans for surgical patients can be arranged in advance. All insurance claims will be filed by our competent staff. If you are a member of an HMO, PPO or POS plan which requires a referral, please bring a copy of the referral to our office at your first visit. A copy of your insurance card and driver's license will be made for our records. During the exam, it may be necessary for the doctor to perform a refraction, measuring your best corrected vision (may be used for glasses). 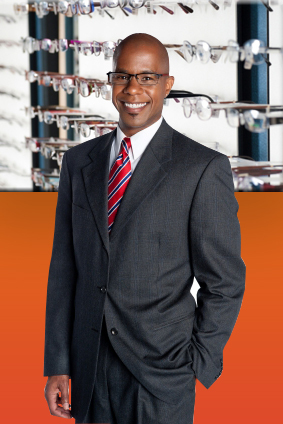 This is considered a non-covered service by most insurance companies, but is a necessary part of the eye exam. If this procedure is performed, a payment of $45 must be paid at the time of check-out.